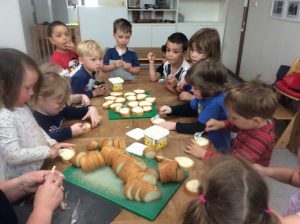 This week in Preschool we are celebrating Harmony Week. In our group times we are discovering the different cultures that make up our wonderful families as well as the world. 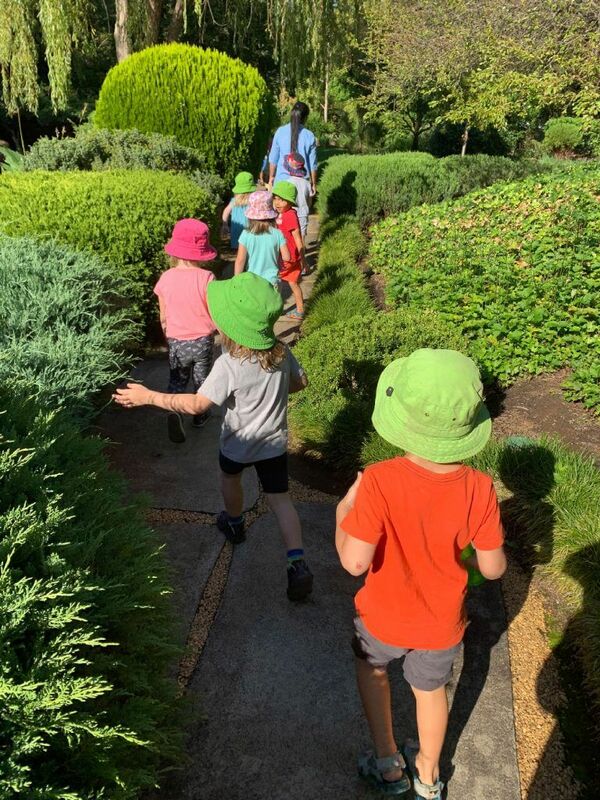 Today we went for a walk in our community to visit the Japanese Gardens. Before we left, we looked on our map to find where Japan was in the world. Next we packed our fruit snack and we were on our way. At the gardens we shared fruit time together before we went exploring. We saw lots of different plants, sculptures and even a waterfall. 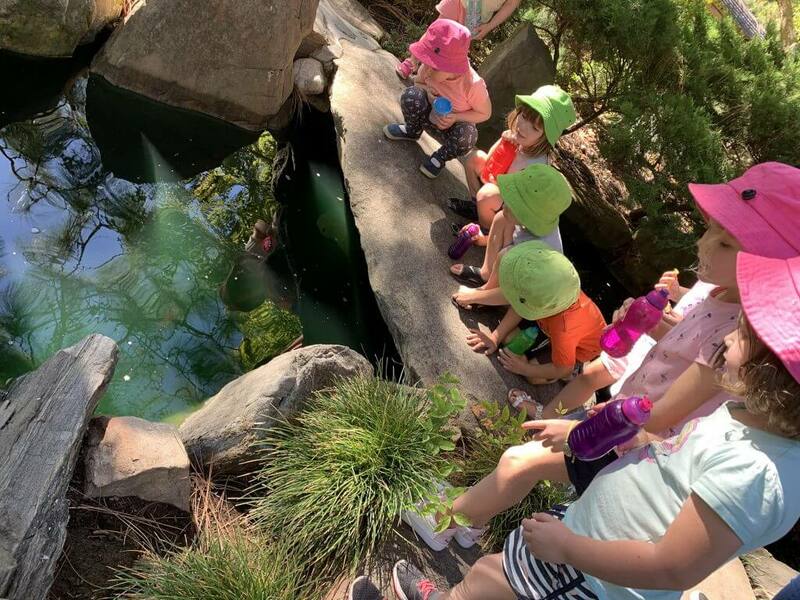 The highlight for most children was looking for tadpoles in the pond. We learnt about the Zen Garden and talked about how it was a special place for thinking and that each rock and plant is placed specifically and means something. We talked about the patters in the sand and how they represent water. 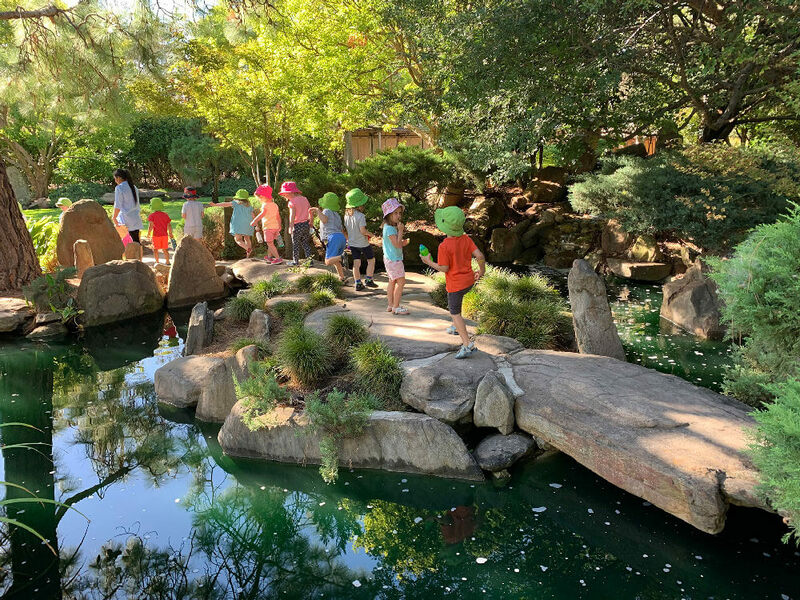 We are extending the children’s interests from this community excursion through creating a Zen Garden in our Science area, providing children with the opportunity to create their own using rocks, bark and sand. 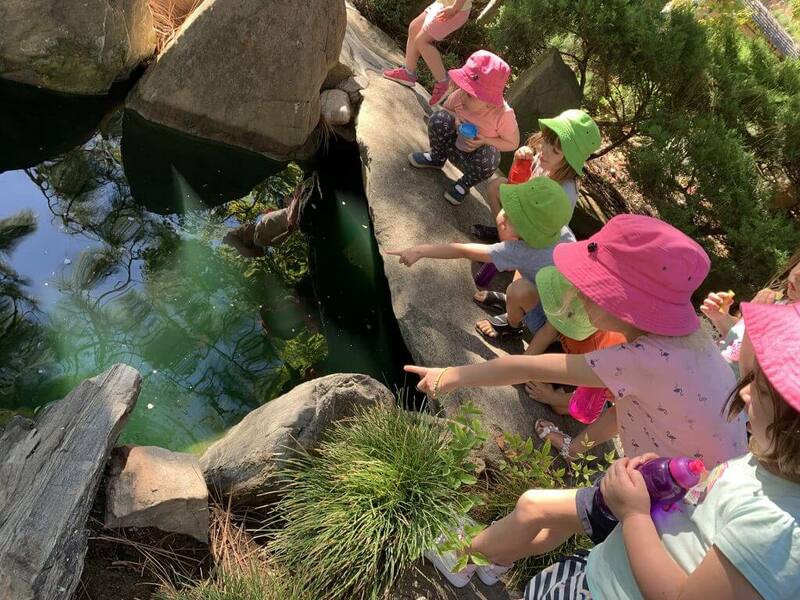 We will also be getting tadpoles for our room to allow children the chance to learn about these amazing creatures, map their life cycle and learn to care for living things. 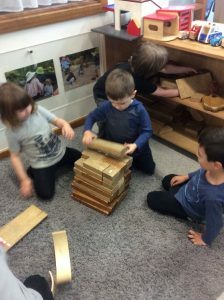 Can you build something tall?